I've been reading through "the secret" book and it sounds interesting! The secret is about the law of attraction that says "like attract like" and goes through three steps which is: (Ask, believe, receive). Your thoughts become things that's what the book mentioned. it is similar to the law of gravity, the law of attraction does not compute words like (don't , didn't, not), like for example if you thought of something like "I don't want to see Sam" it will be translated as"I want to see Sam"!! as your inner part will receive it as it is without the negation words! You should clear your mind from the negative thoughts.. you are a magnet and your thoughts have a frequency that increases with your thoughts.. whenever you have bad thoughts try to remember the good things in your life, always smile and laugh! attract the good things to your self, be positive and make the universe a beautiful place filled with happiness. 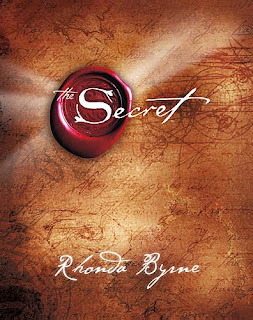 to know more about the secret read the book or watch the movie, it is really amazing!